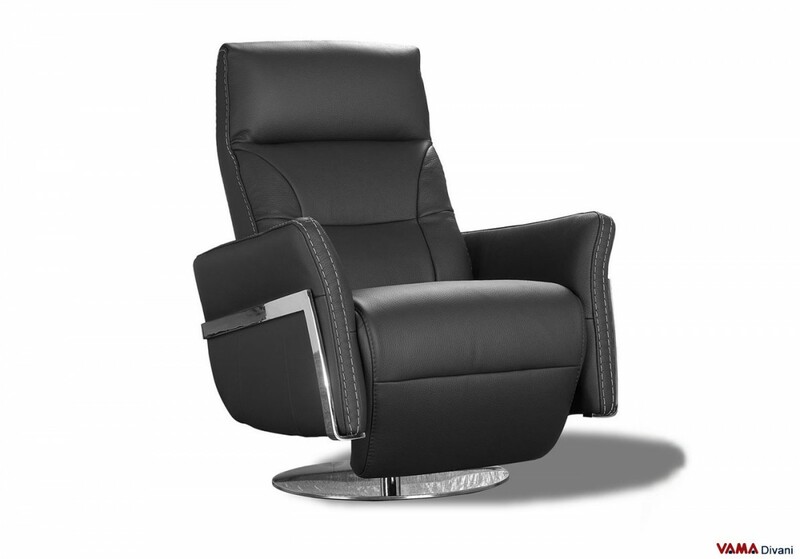 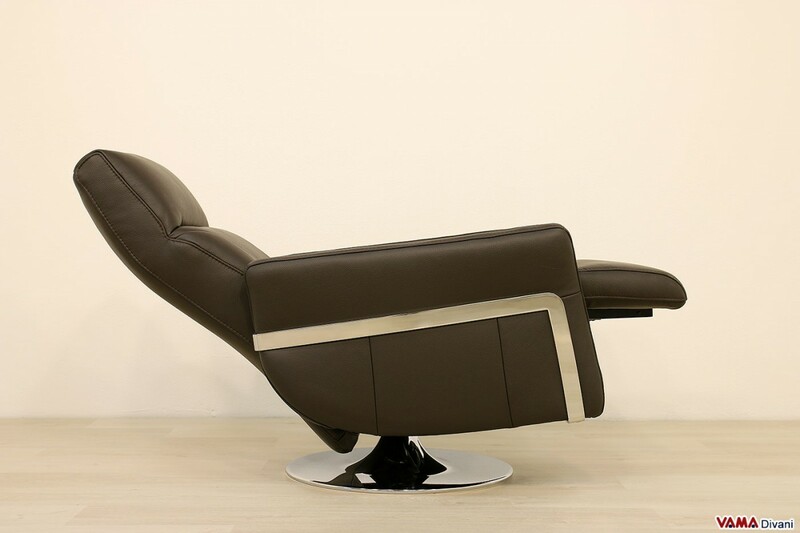 Nikita is an extremely interesting contemporary reclining armchair, which is able to offer the same level of convenience and comfort of the most complex electric reclining armchairs. 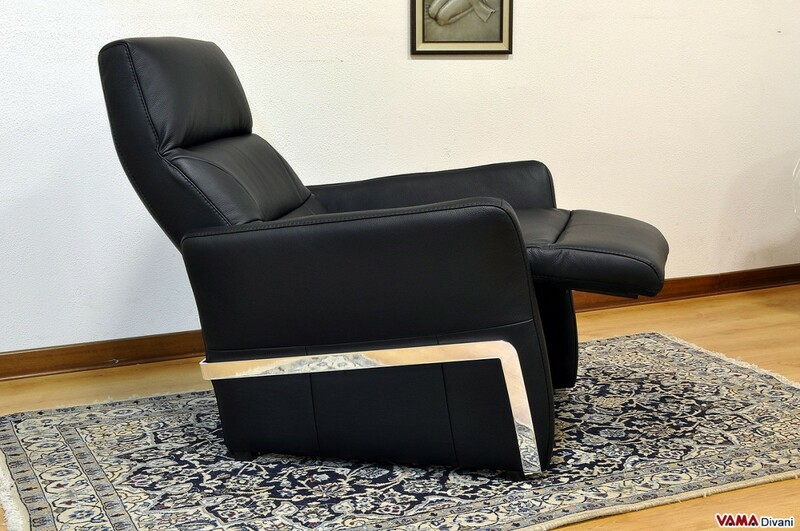 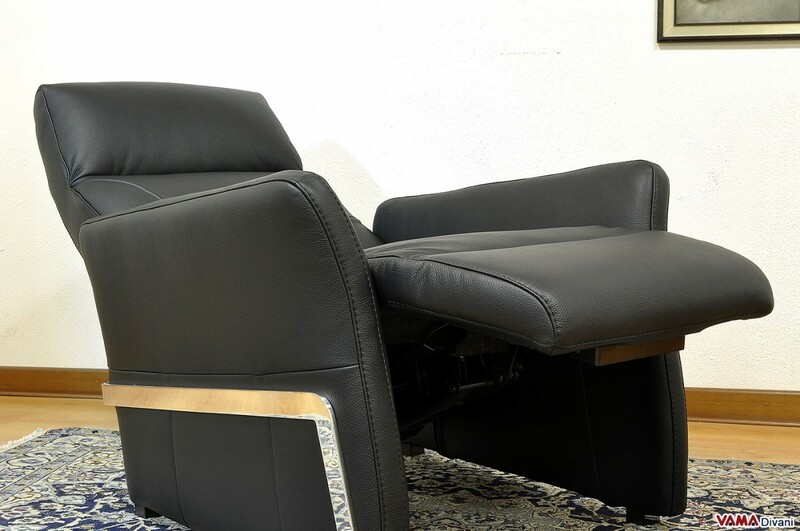 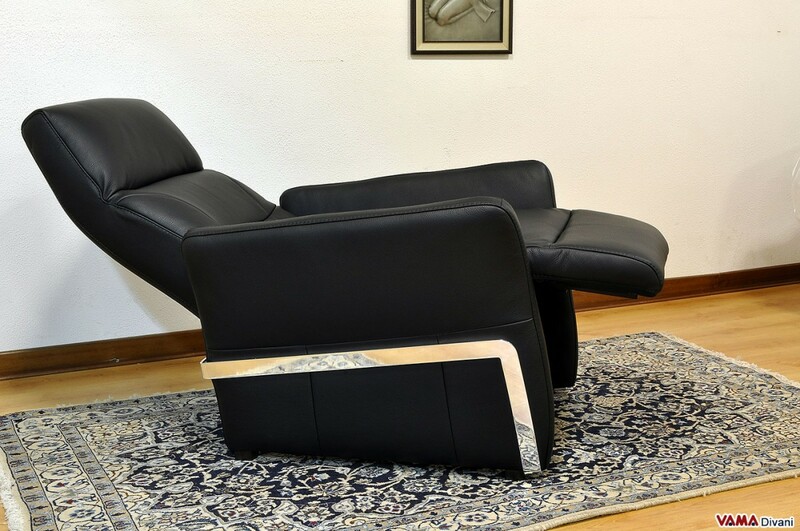 This beautiful leather reclining armchair, in fact, allows the person sitting to easily change his/her position in a totally innovative way: the footrest, in fact, can be adjusted by pressing lightly with your back, while the movement of the seat back can be activated through a special leather strap placed in the seat side. 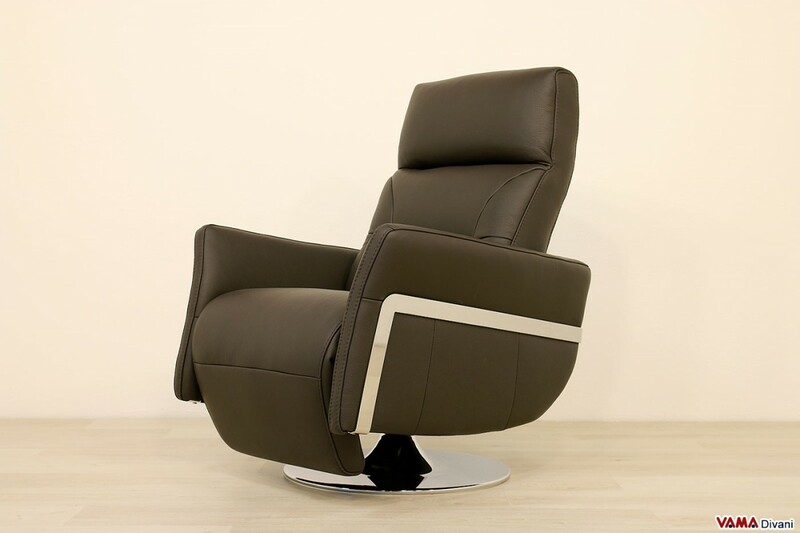 In addition to these really unique features, the Nikita armchair offers excellent comfort thanks to its high seat back, the comfortable padded headrest, its arms and its soft upholstery. 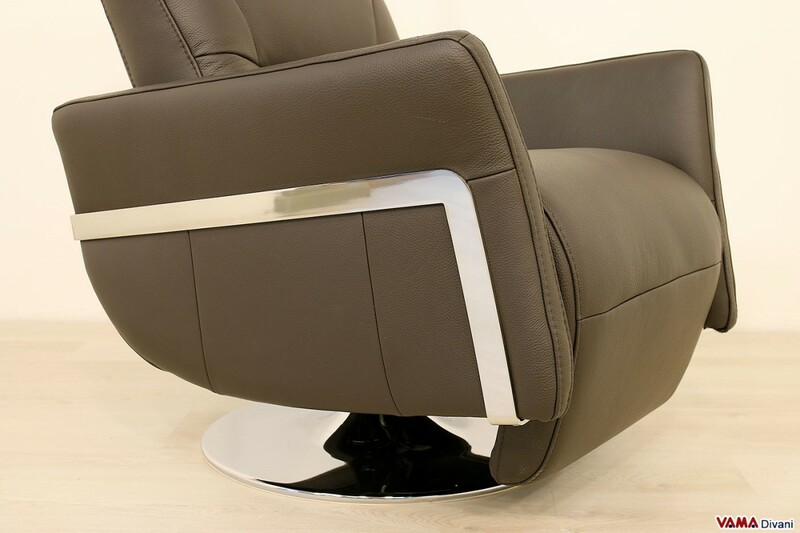 The base of this armchair is composed of a chrome plate, which makes it the perfect swivel chair, just like the traditional and directional office armchairs. 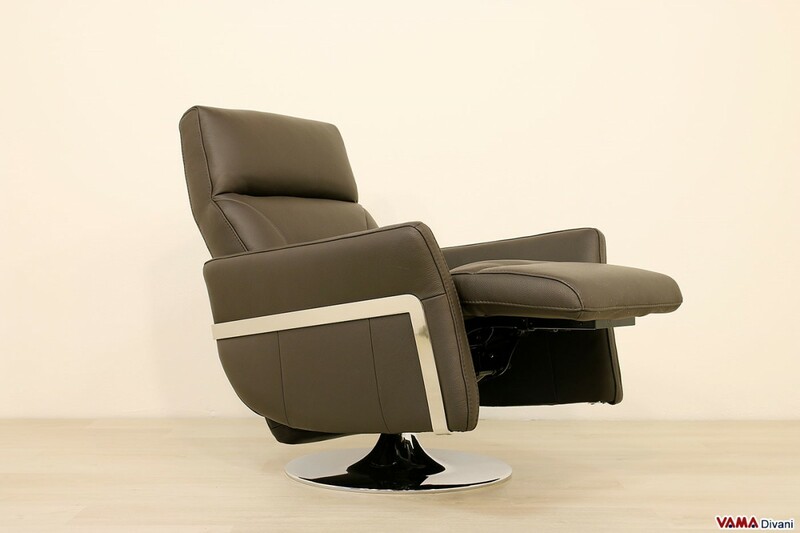 Concerning comfort, then, Nikita is very rich of features, and is characterised by a very simple and elegant style that proves to be easily combined; the fine leather used for its upholstery is enhanced by pleasant contrast seams. 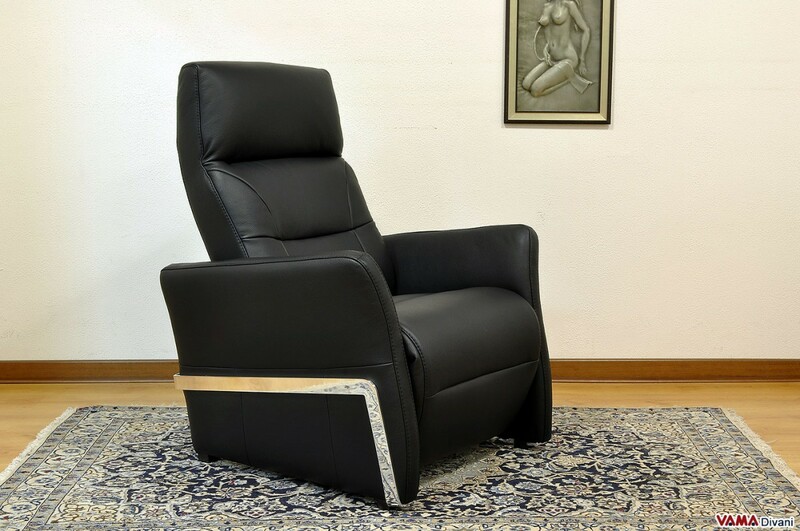 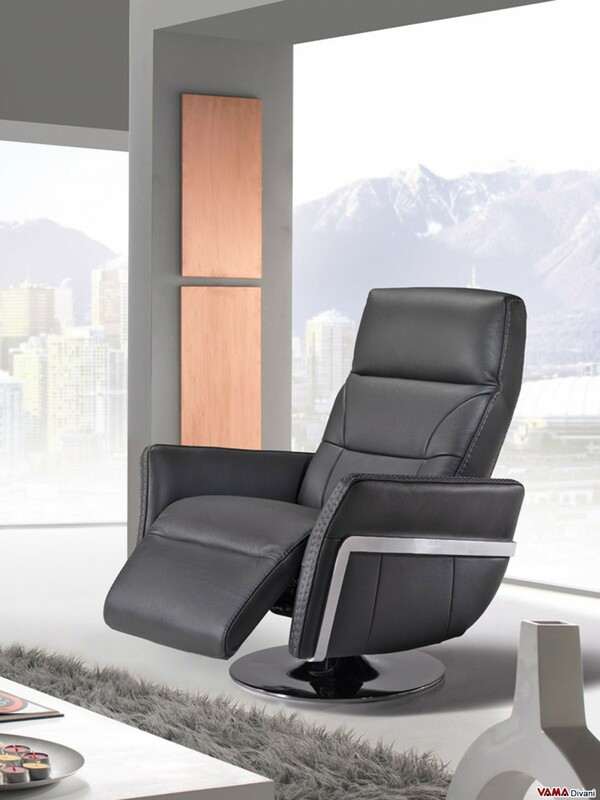 This comfortable and enveloping armchair is absolutely perfect for watching TV, reading a newspaper, or just relaxing.